Simple but edgy, the 180-cm tall Kevin William is a composed young man with a charming style and a flair for fashion. Though the journey has just started, Kevin already owns a fashion line, sells designer books, creates content, and maintains his Instagram, which currently has over 5K followers and counting. Kevin’s foray into becoming a social media influencer was serendipitous, you might say. After graduating from a university in China with a degree in Architecture, Kevin worked an architecture firm of a renowned architect in South Jakarta, then joined a furniture company, but quickly realized that an office job is not for him. 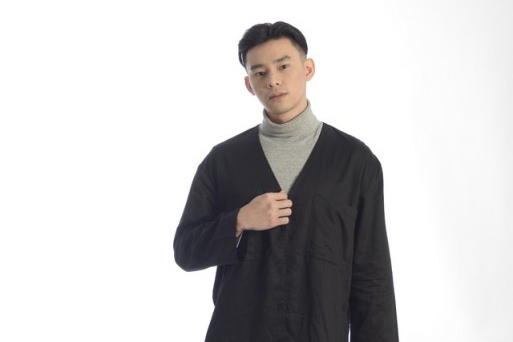 After attending a fashion show with his friend and fellow influencer Tysna Saputra, Kevin received clothes from the designer the following day, which he wore and posted on Instagram as a gesture of courtesy. To his surprise, the photo was reposted by Lookbook and was well-received. “Prior to that, my Instagram was full of photos of buildings,” he laughed. It was a rocky start, but Kevin eased into it like a pro. As a fashion influencer, there’s no denying that he receives plenty of endorsements and perks (getting front row seats to fashion shows is his favorite! ), but there are ups-and-downs that come with it. “Getting free clothes is great, but being rushed to post them is not! I usually ask for a two-week window, because some clothes can only be worn on certain occasions. But some brands inquire about the upload after a week!” he cringed. Further making his mark into the world of fashion, Kevin became one of the founders of the fashion line Early Adopter. Through the brand, he wants to show that even if your body is not model-perfect, you can still pull off not-so-common fashion pieces, such as jumpsuits.